‘In my judgment it follows that BT has actual knowledge of other persons using its service to infringe copyright: it knows that the users and operators of Newbin2 infringe copyright on a large scale, and in particular infringe the copyrights of the Studios in large numbers of their films and television programmes,’ said Justice Arnold. In opposing the order, BT had argued that Newzbin2 also links to lawful content, but the court said it was far outweighed by pirated material and that ‘BT’s best shot was to point to a reference to the 1891 Lancashire census’. Even scarier is the suggestion that lawful content is no excuse to stop the blocking of a website. It’s very difficult to really know where to begin with that. How much content has to be infringing in order for the website to be blocked? Will it have to be more than 50% infringing content? 25% infringing content? One song that happens to have three notes that are similar to another song? Where’s the bar set here? That point is not reflected in the report and if the judgement doesn’t specify what the level is, it’s not completely illogical to suggest that Hollywood can really block every website in existence. How many websites have at least a reference to copyrighted material (i.e. a message on a forum saying ‘Listening to Kiss right now.’)? The amusing part is the fact that the censorship of NewzBin2 will be put in place in the Fall. No doubt this will give NewzBin2 plenty of time to figure out how to bi-pass this measure for it’s UK users. Even better is the fact that this only affects BT currently and similar motions will be brought to other ISPs. I don’t see how NewzBin2 simply changing it’s website to another name for its British users won’t defeat this in any way. Call the site ‘Fuzzybunniesjumpinginthefield.com’ and allow access to the NewzBin2 services. 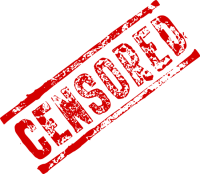 If you plan on finding ways to circumvent British censorship in order to download the entire Adbobe Suites in the future, you only have until the end of the Summer holidays to figure it out! Be the first to comment on "Hollywood Wins Court Case – ISP Ordered to Block NewzBin2"